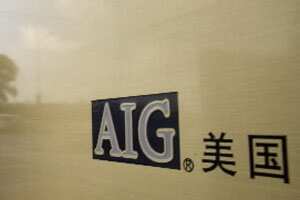 Bangalore: AIG Global Real Estate, a New York-based private equity (PE) firm, has sold or is in the process of selling three of its five investments in India at cost, a top executive said. Between 2007 and 2009, the firm invested around $200 million (nearly Rs1,000 crore) in five projects in the country from its AIG Real Estate Opportunity XII-India Fund. AIG had invested $30 million in the last project, a collaboration with a Kerala state infrastructure body. The executive didn’t disclose the transaction values. AIG had partnered with Bangalore-based RMZ Corp. for four of the five investments to develop office space, information technology parks and hospitality projects. “We are realigning our portfolio in the interest of our investors, during which we will take stock of our investments and decide on the ones we will continue to be invested in," said Bamasish Paul, managing director, AIG Global Real Estate, India. “We don’t have any immediate plans to raise a new fund and are not looking at fresh investments for the time being." The fund will stay invested in its Hyderabad and Chennai projects, the former being developed with RMZ and the latter with a local developer. AIG Global Real Estate manages $9.4 billion of real estate assets for clients and AIG companies globally. Real estate analysts expect to see a number of exits from real estate deals over the next two-three years, as many such investments haven’t done well. “Many aspects regarding the investments could have gone wrong, including deal structures, business strategy, wrong product choices and even timing, considering real estate is mostly a long gestation play," said Ambar Maheshwari, managing director, corporate finance, JonesLang LaSalle, a property advisory. Typically, PE funds make investments over three-five years before planning for exits to pay back investors. Maheshwari said some real estate funds that haven’t been able to make profits will seek extensions from investors as they near the end of their investment cycles. This year has seen 13 exits so far in real estate at a total deal value of $336 million, according to VCCEdge, which tracks investments. Three of these were by foreign funds. In all of 2010, eight exits took place at a value of $1.18 billion, including five by foreign funds. The UK-based Trinity Capital Plc has sold three real estate investments in India this year. Its India fund is managed by Indiareit Fund Advisors Pvt. Ltd.
“The exits were made at marginally more than the entry price," said a person familiar with the development, who did not want to be identified. “Restructuring portfolio and taking a call on investment assets are very important to prevent further bleeding and not incur losses anymore. This is something that many Indian fund managers don’t often do," said another analyst, who too didn’t want to be identified. “As funds come under pressure to return money, we may see exits happen at discounts or at lesser returns."